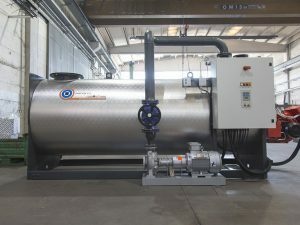 Electric and automatic thermal oil heater, available with variable power from 10 to 500 kW, made with one or more electrical resistors. 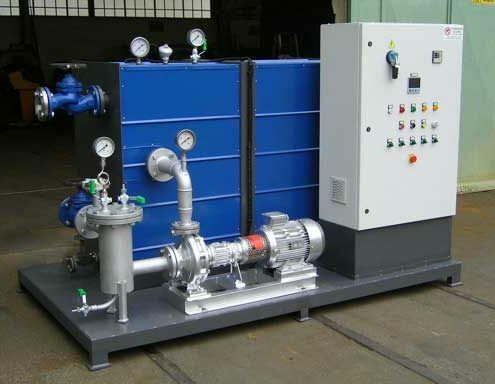 Design temperature up to 320 °C and pressure up to 10 barg. Complete with accessories and control panel, base and external insulation. Automatic regulation with stages.